Jersey is an upcoming film that has Nani and Shraddha Srinath in the lead roles. The film is directed by Gowtam Tinnanuri and produced by Suryadevara Naga Vamsi under the banner Sithara Entertainments. The film is revolves around the life of a cricket player, Arjun, and is slated for a release on April 19, 2019. 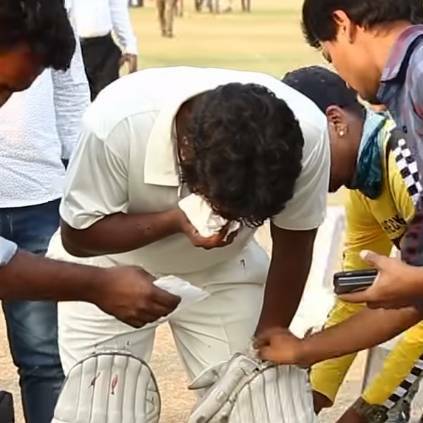 The makers have released a making video of the film, that features the way actor Nani trained for the film by undergoing rigorous cricket training. Jersey has music by Anirudh Ravichander, while Sanu John Varughese handles the cinematography. This film is touted to be a biopic of late cricketer Raman Lamba. He was last seen in the movie Devadas, directed by Sriram Adittya. People looking for online information on Anirudh Ravichander, Jersey, Nani, Shraddha Srinath will find this news story useful.